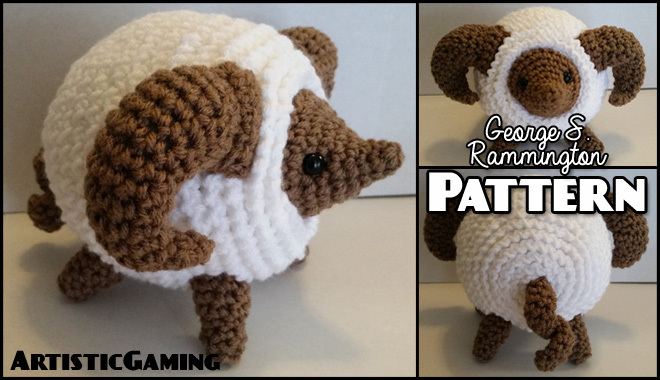 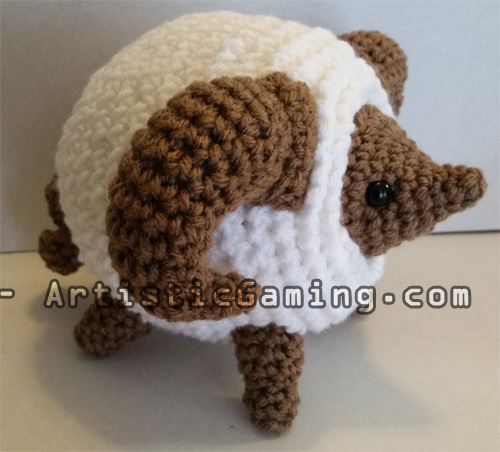 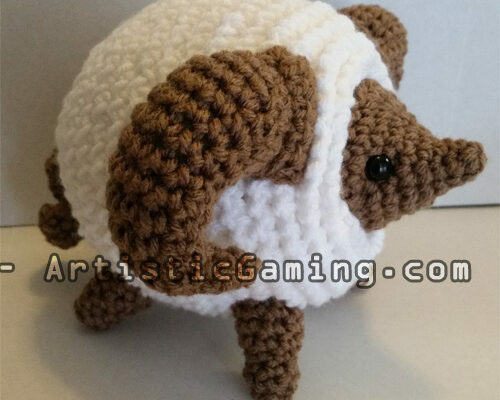 Let this fluffy little ram bounce into your life! 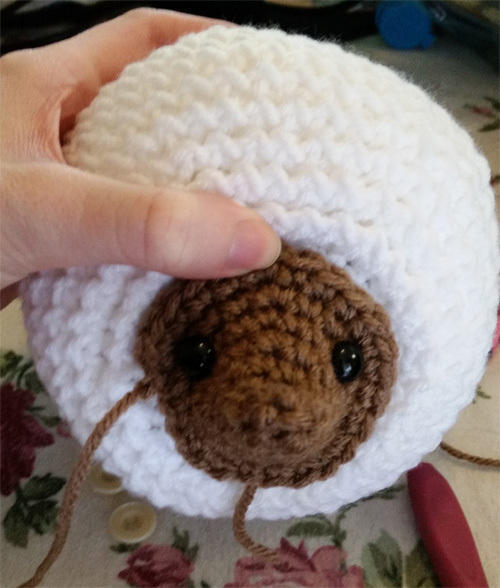 He ends up being about 5″ tall once completed. 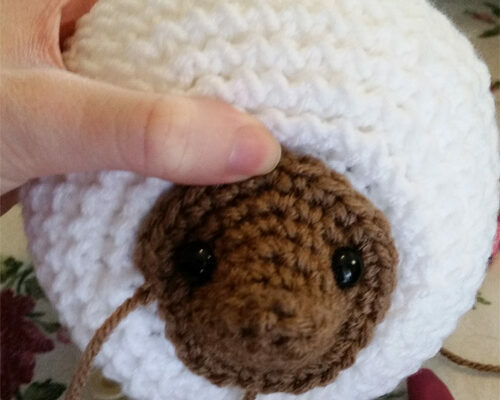 If you can single crochet, you can easily make him part of your collection. 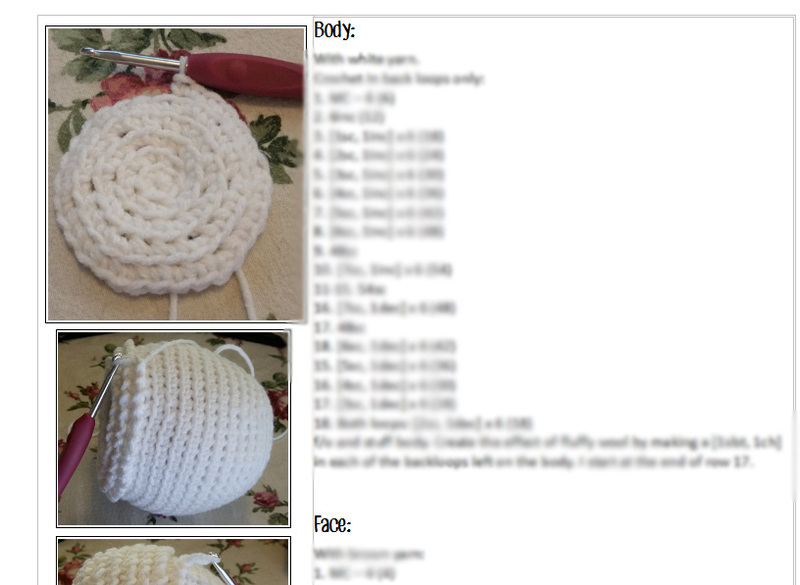 Yes, you may sell dolls made from this pattern. 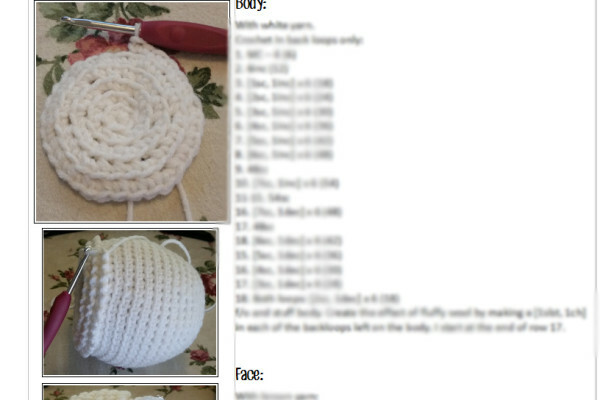 Please see the PDF for further details.